PPC management is a complex process and involves in depth analyzing and superior skills. 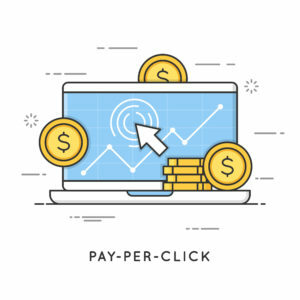 You must choose a reputed PPC company who specializes in delivering an effective PPC advertising and marketing campaign. 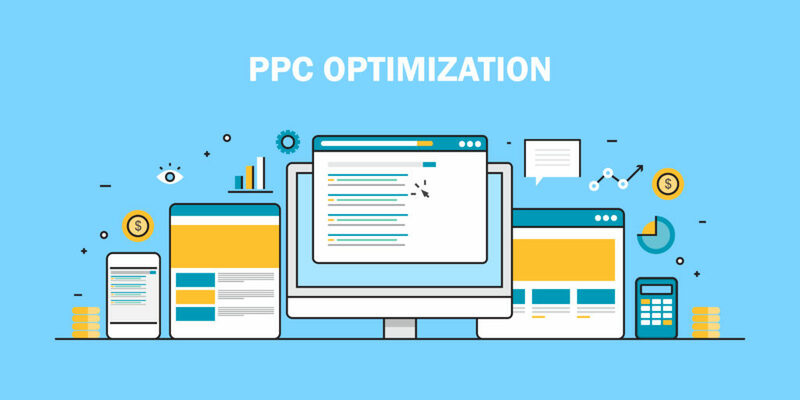 A meticulously planned PPC campaign optimized with conversion boosters will deliver targeted website traffic. A digital marketing agency employs experts who are creative and have proper knowledge and experience regarding pay per click strategies for augmenting business processes. PPC (pay per click) campaigns help to derive targeted traffic to your website. 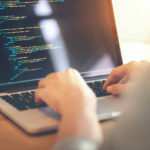 One of the most effective ways to maximize efficiency and boost ROI is to optimize conversion rate (CVR) by testing innovative approaches without putting undue pressure on the budget. Five techniques that will help you build more conversions and secure good results in 2018 and beyond. Quality scores are often considered as one of the most important things which invariably lead to reduced costs and better ad positions. i) Ad relevance –Establish clearly how far the keyword is relevant to the ad copy. Create significant headlines; focus on the needs and sensitive points of your targeted audience. ii) Landing page experience – Quality scores are basically dependent on the landing page experience and expected CTR. If the landing page experience is not good, your quality scores will be bad. People tend to click faster and convert faster on your landing page if it is explicitly and unambiguously designed. Dynamic text replacement (DTR) will provide some quick benefits and can improve quality score. iii) Expected CTR (click-through rate) – PPC experts consider CTR as one of the most crucial factors when determining QS. Having more high-quality ads will generate more clicks and conversions as compared to ad groups with merely one. Customers who visit your landing pages are at various stages of their buying journey. 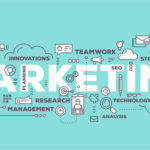 Intelligent re-marketing is a unique way to connect and engage visitors to your website who may not have made an instant purchase. The main aim of re-marketing is to capture the interest of lost users as well as retain customers. Never serve the same messaging. Find innovative ways to add value up and down the funnel. i) Test different lead magnets: Different visitors respond to different types of media. Split-test your remarketing ads to offer an e-book and webinar. ii)Name-drop influencers: Include popular influencers in your remarketing ads. This alliance builds up trust. iii)Use dynamic targeting: Serve specific ads to different audience segments. AI and machine learning brings the promise of higher-performing marketing at speed. This is an automated endeavor which also aids in budget management. With this you will be able to use more data than any human can handle in order to make quick adjustments in real time. It is important to capture as much SERP (search engine results page) as is possible. In order to do this, you can test different ad extensions on your top-performing campaigns. By using in-market audiences within your display ads targeting, you can easily target users according to their consumer behavior, as well as the content they have shown an interest in online. Thus, you can serve hyper-specific ads to customers who exhibit an interest. Ranging from persona segments to product categories, there are numerous options. Here is a step-by-step guide to win over voice searches in your PPC campaigns. Do you know one in five mobile searches was made by voice last year? The trend is changing. Nearly 70 percent of recorded mobile voice searches were of conversational language. Technology is there to make life easier. And with the emergence of voice searches, it continues to build a deeper, at some times questionable, relationship with the smart devices. That’s not all! Voice search is also turning more natural and rewarding. With a 20 percent chance that any mobile search will be a voice search, it is an important time to get ahead of this trend and start shaping up your PPC accounts. If you are in business and wish to make a profit utilizing Intelligent Personal Assistants (IPAs), such as the Siris, Alexas, and Cortanas, you need to know how you can use PPC campaigns to optimize voice search traffic. For this, export a search query report from AdWords. And if you are managing a high-traffic account, a 30-day lookback window will be suitable to check out. Now filter search terms for the most used personal assistants. Create a column for “search query word count” and check for all queries over six words. This is similar to a more long tail/conversational query. Once you are done with search query gold mining, it is the right time to find your voice queries that might be slightly relevant, but not be ideal for your campaigns. In such cases, adding phrase negatives will help prevent further low-quality impressions. Lastly, look for IPAs names within your existing campaign list. By now your phrase and broad match keywords will be beginning to pick up voice searches within your campaigns. However, you likely will not be capturing all of the high-value potential queries. So, after exporting your search query list, followed by filtering for voice search queries, you have a pretty good idea of what your ideal audience is searching for. With the help of a keyword tool of your choice, you can begin to build on these long-tail search queries. This is essential to ensure you make the most of your voice search traffic. Later, you can add more conversational-type keywords for your campaigns. So, with only a little bit of analysis and some simple questions to Siri, get started to start testing additional voice search queries in a low-risk environment.